Sometimes I like to make summer food when it’s not summer. I guess if I’m eating summer food, I can pretend it’s summer for a short time or at least feel optimistic that summer will actually be here again one day. This Pierogi Potato Salad is a simple and unique take on potato salad. 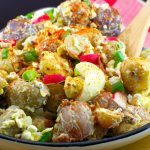 If you are looking for potluck ideas and love perogies, you will love this Perogy Potato Salad recipe. You can make it for a potluck, a summer BBQ or even when you are camping/glamping in the summer! 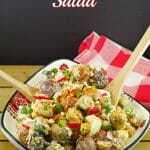 It is an easy potato salad and requires very little space to prepare. This recipe won 2nd place in the Go RV’ing: Canada’s RV Friendly recipe contest in 2013. This recipe is also a great use of leftover dry cottage cheese! I often buy it to make perogies and end up with leftovers. And if you buy it specifically for this recipe and have leftovers, then you can use it in these Perogy Zucchini Boats, Ukrainian Slow Cooker Casserole , Ukrainian Breakfast Sandwich or this Ukrainian Breakfast Hash as well! I adore tasty summer food that requires very little effort because well, life is short and so is summer. You can prep this pierogi potato salad in the evening when it’s a bit cooler (no oven required, just stove top) then throw it together quickly the next day and you’re off to enjoy your sunny summer festivities! But it really makes a great dish anytime of the year. If you are looking for a unique potato salad recipe, look no further! 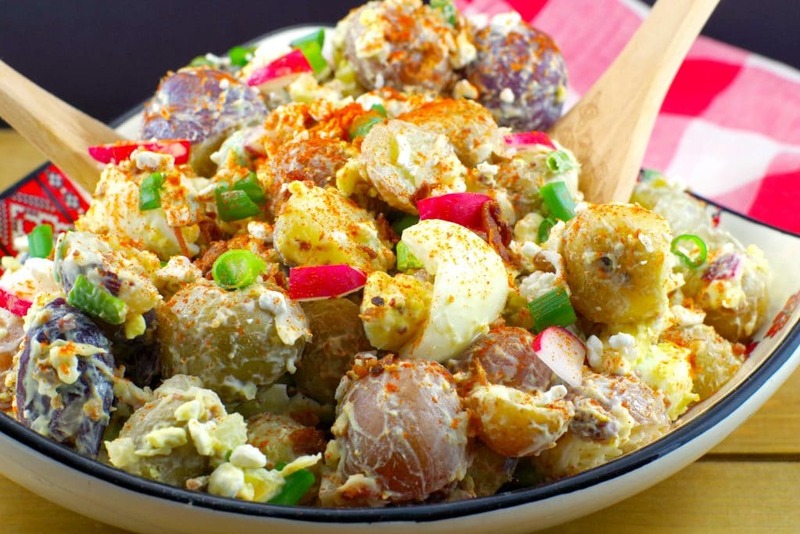 This Ukrainian twist on good old fashioned potato salad is a real crowd pleaser! 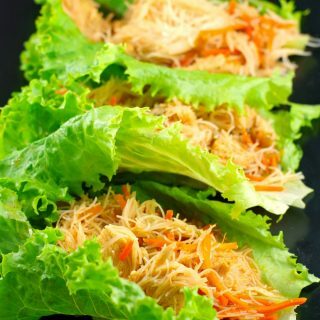 Here are a couple of BBQ dishes that go great with this salad! 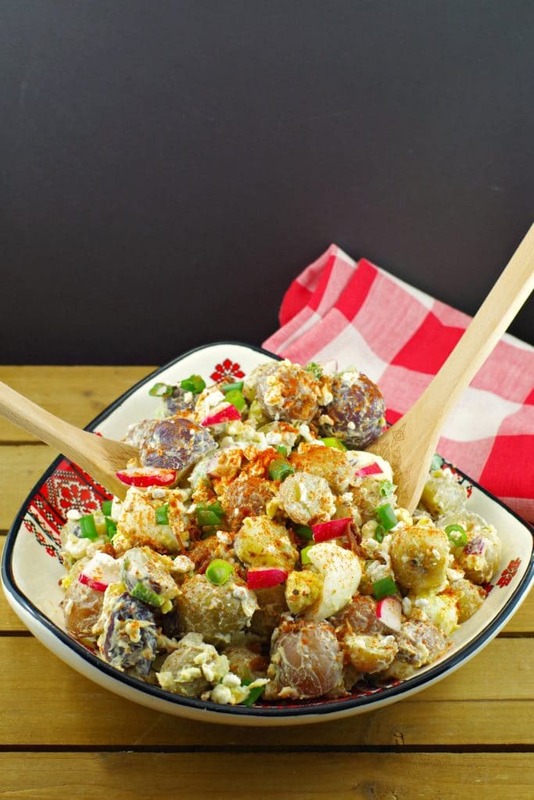 If you love perogies and are looking for potluck ideas, you will love this gluten-free perogy/pierogi potato salad recipe. Make it for a summer BBQ, a potluck or even when you are camping/glamping this summer ! Cook potatoes in boiling water until fork goes easily into them but they are still firm (about 15 minutes). Drain, cool and refrigerate potatoes until cold (up to an hour). Cook eggs in boiling water until hard boiled (about 10-12 minutes). Remove eggs from heat and run under cold water, let sit in cold water for 10 minutes, then refrigerate (still in cold water) until cold (up to an hour) and then peel. Cut each cold potato into 2 pieces (* this will depend on the size of the potato, I cut some into 4 pieces and don't even cut the really small ones). Cut each egg into 4 pieces. Mix all the remaining ingredients together in a bowl. Add the potatoes and eggs and mix. Thanks Sue! Yes, it’s really simple but with that little twist that elevates it above the everyday potato salad. I hope you enjoy! Thanks! Yes, the sauerkraut does really works in it! We had this salad for supper last night and my family devoured it! This looks like a yummy salad recipe so good for picnics. 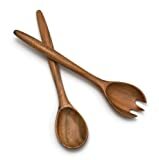 I am bookmarking it to make it for our cottage trip this coming summer. Thanks so much for sharing. Thanks, Fouzia! I hope you enjoy it.